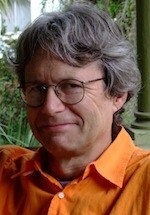 William Logan’s books of poetry include Rift of Light (Penguin, 2017) and Madame X (Penguin, 2012). His numerous books of criticism include Our Savage Art: Poetry and the Civil Tongue (Columbia, 2009). He is a regular critic for the New York Times Book Review and the New Criterion. He is Alumni/ae Professor of English at the University of Florida. in every coffeehouse off the Charles. Criticism never starts over; yet sometimes it suffers a forgetfulness, an ill nature, an ignorance of its soundings. There’s no going back, but there is a going forward that does not fear looking back. The complaint about “theory” is that it treats literature with the dispatch of a meat grinder—if you know the method, long before the poem has been dragged in by the tail you can predict whether the butcher will sell you the sausages of Derrida, or Foucault, or Lacan. It’s disheartening to see a poem raided for evidence of sins long defunct or treated with a forensics kit, as if it were a crime scene. A man’s letters have a different claim on privacy than his poems and therefore a different claim on truth. Letters lie in the uneasy realm between writing published (the words, if not anonymous, a writer must stand by) and writing meant for no one else’s eye (the best diaries are often those published from the grave). Letters are usually directed to one person alone, like a whisper, though in some centuries they have been passed around like dime novels (when Nelson captured letters in which Napoleon grumbled over Josephine’s infidelities, he published them). The inky page, the homely sheet of paper itself, becomes the property of the receiver (in this way letters follow a peculiar byway of property law, but the words remain the writer’s, not to be published except where leave is given). Dawn boils up like milk, cloudy with disrespect. neighborhood wrens bang out their high-pitched notes. and saw nothing there but the whirling flies.